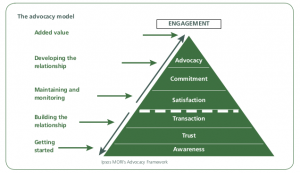 Who are Brand Advocates and what can they do for your brand? 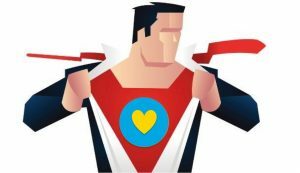 Brand Advocates are the ‘super fans’ of your business. They are highly satisfied customers who love what you do and who will enthusiastically share positive information about your products or services with other people. They are considered influencers whose opinions effect the purchasing decisions of others and they also help build your brand’s visibility and engagement online. What do Brand Advocates do for your brand? Authenticate: They genuinely enjoy sharing product information and their unbiased first-hand experience of your business is 70% more likely to be seen as a good source of information to trust. Loyalty: As they value their relationship with your business, they are 75% more likely to share a great experience. They also have high customer lifetime value. Visibility: Many brand advocates are highly connected and have followers across numerous social media platforms. 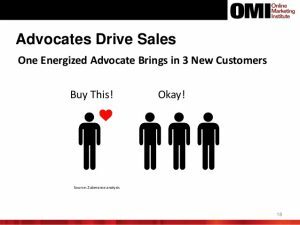 Each advocate has the potential to bring you at least 3 new customers and some many more. So how do you create Brand Advocates? Build trust through consistency of approach and deliver on your brand promises. Keep engaging with your customers and those who connect with your brand across all relevant social media platforms. Make them feel valued through great customer service to encourage retention and recommendation. Inspire, surprise and delight them by going above and beyond with random acts of kindness. Showcase your brands best qualities and promote your success. Focus on customer engagement and the sales will follow. Make managing your social media presence a priority not an afterthought. Monitor your digital presence and customer feedback with Google Alerts. Listen to what people are telling you across all online platforms and identify areas of focus. What are they saying? Where are they sharing? When are they most engaged? Give your advocates something worth sharing by regularly posting new content about your brand. Analyse results to see what works in terms of engagement to plan future campaigns. By Ellie Banahan| 2017-09-28T09:58:37+00:00	September 26th, 2017|Uncategorized|Comments Off on Who are Brand Advocates and what can they do for your brand?